Cool Weather, Knit Classics | A creative life tangled up in lovely yarn! With the weather warming up, I’ve been less inclined to break out my bulky yarns. You know I love my chunky sweaters and warm hats, but there’s a time and a place.I’m excited for lighter patterns that work for both chilly mornings and warm afternoons. 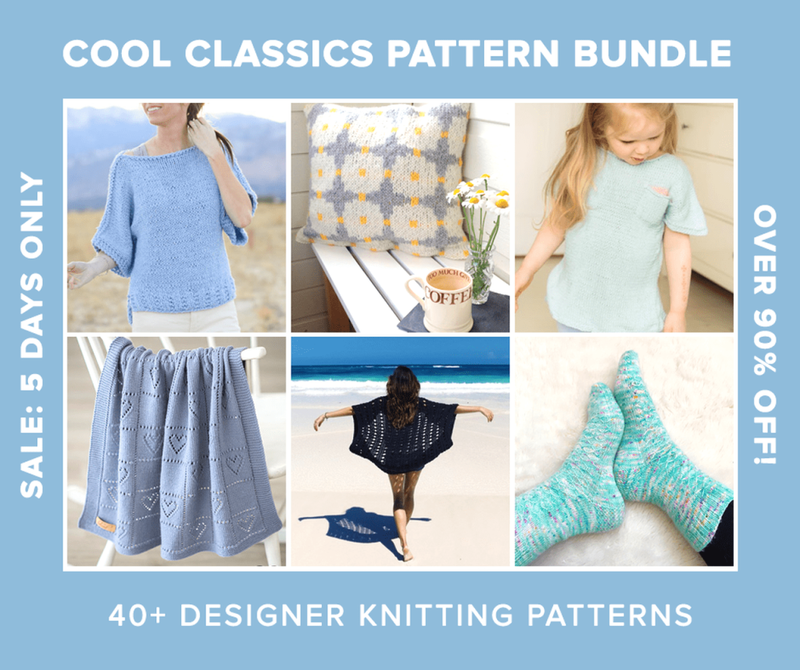 We’ve contributed our favourite classic knitting patterns to create this awesome super bundle, and I can’t wait for you to see all of the amazing patterns! Get The “Cool Classics” Knit Pattern Super Bundle! This entry was posted in Knitting, Shop and tagged Summer knits. 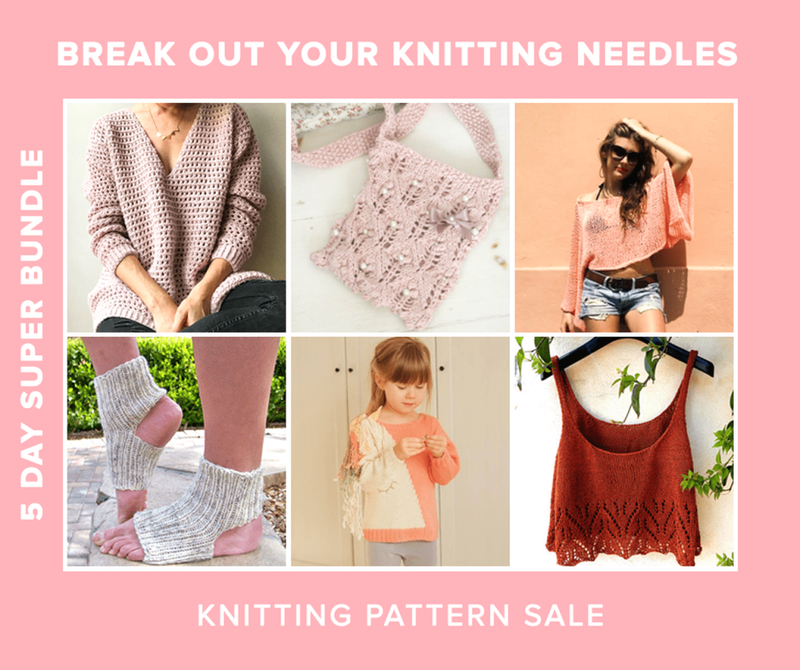 bundle sale, summer knitting projects by eline. Bookmark the permalink.